One of the popular refrains in the world of entertainment today seems to be, “what once was old is new again,” given all of the remakes of popular films and television shows that Hollywood has put out of late. It’s a novel concept: introducing a new generation of moviegoers and TV audiences to tried and true characters and stories by giving them a makeover or a new plot twist without having to completely reinvent the wheel. In the video surveillance market, it could be said that analytics are getting their shot at an industry reboot. Having overpromised and under-delivered a decade ago, recent advances in artificial intelligence (AI) and machine learning software have made intelligent video analysis a realistic capability for end-users to deploy at scale. Of course, the technology is still in its infancy and there are a number of challenges that must be overcome before it can be widely adopted. Aside from video analytics, issues surrounding the cybersecurity of camera networks remain a major priority for manufacturers, systems integrators and end-users alike. Hackers have been keen to leverage vulnerable surveillance devices for a various malicious schemes over the years and given their pervasiveness among IoT devices, the threat is not expected to subside anytime soon. SecurityInfoWatch recently reached out to a number of industry experts to get their take on these and other trends that are expected to impact the industry in 2019 and beyond. There’s has obviously been a lot of hype around artificial intelligence and deep learning solutions within the industry over the past couple of years but not necessarily a lot of technology deployments. Will that change in 2019 and, if so, what will be the catalyst? Cropley: Video analytics have been a hot topic for the last couple of years. However, in 2019, the development of camera ASIC SoCs will enable deep neural networks processing at the edge. Nilsson: While there are a number of providers starting to incorporate AI into their solutions, this emerging technology is still relatively unproven. There are some examples where Deep Learning – improving algorithms based on experiences – has proven successful in training environments, ,but I still think the day AI and Deep Learning become force multipliers for the security industry is still far in the future. Palmquist: Machine Learning and Artificial Intelligence represent the next big tech changes that will forever disrupt the status quo in our industry. It may take several years for these technologies to play out — and they will come in many different forms — but the impact on security and surveillance will be fascinating. We’re already seeing leaps forward in hardware acceleration and other processes that are enabling complex processing tools now, and we’ll undoubtedly see more over the next year. Elvish: The hype over AI has set unreasonable expectations in the market. However, meaningful progress will be made in 2019 in specific areas around Machine and Deep Learning which will help deliver advanced analytics capabilities such as object recognition. For us, the catalyst will be the next generation of technology that brings even more power to the edge. Swan: Video analytics plays an important role in generating smart data that helps to improve security, increase efficiency and reduce costs. In order to be able to deliver high-quality data, video analytic algorithms have to be continuously trained – through deep learning – on recognizing regularities and recurring patterns. At the end, the video analytics software on board a security camera should have learned enough to be able to judge independently whether the object it sees is a person. The camera should not only be able to distinguish individuals from each other, but also, for example, from rolling suitcases and vehicles. The next steps will involve learning to interpret the behavior of people. Kong: AI will play a large role in the future, but it’s also important to set correct expectations for the market. These algorithms are only as good as the data that they are given, so daytime and nighttime image quality will be essential to deliver accurate results. Whitney: Implementing AI technologies in security systems has much promise, but like when most big technology shifts are just getting underway, there is more hype than fact in early products. This will shake itself out just as IP networking, megapixel technology, and multi-sensor cameras all did following their introduction and are now mainstream. However, many of the products we will see in 2019 will still be early, first generation solutions, with improved versions and products to follow in later years. Edulbehram: While AI/deep-learning techniques have already started to be used in traditional applications such as facial recognition, the creation of newer applications based on this technology is still in its nascent stage. Over the next few years, we will undoubtedly see the development of a profusion of AI-based technologies and the broad-based adoption of these products will fundamentally change the way security is conducted across markets. What do you think will be the biggest trend that impacts the video surveillance industry from a business perspective in 2019? Cropley: One very important issue will be government policies on tariffs and trade. This will affect the price of equipment and therefore the level of demand. However, it may also affect which vendors are allowed to supply equipment in different countries. Nilsson: IoT will be a dominating trend for the world in general and the security industry will certainly feel the impact. We’ve already seen the shift to IoT reflected in the widespread adoption of network cameras in the video surveillance space. The same is about to happen in audio, intercom, environmental sensors, perimeter protection, etc. Palmquist: Today, we see most industry topics from a security point of view, but tomorrow we’ll talk in terms of data and the value of that data and what we can achieve. Tools are being developed now to automate user processes and to augment human operator effectiveness with information. The harvesting of data that’s currently left untouched will be a massive catalyst of change within our industry in the very near future. Elvish: Our industry is thankfully becoming increasingly aware of the rising cyber threats and the damage they can cause to businesses, institutions and individuals. With a continuous rise in state-sponsored hacking and cyber warfare, it is becoming increasingly important to properly vet every product we install on our networks. Cybersecurity regulations are now becoming the norm as governments enact laws to hold businesses more accountable. GDPR was a first, but was soon followed by the California GDPR regulation and the HR5515 law in the U.S. With bigger consequences looming, businesses are forced to consider the vulnerabilities of their security systems. Swan: Data security and privacy protection will continue to impact the industry. 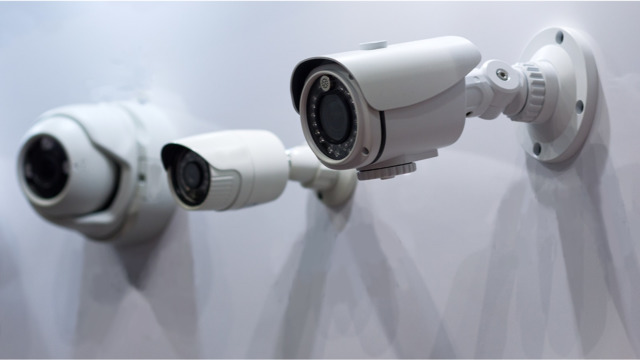 More and more video security cameras are connected to the internet and transitioning into intelligent sensors that collect significantly more data than images alone. As the level of connectivity and collection of business-sensitive data becomes more widespread, the threat from cybercrime also rises. This is clearly an issue that affects everyone. Another impactful development is the IoT. Now, video security cameras need to be so much more than devices with which to simply capture images. Cameras are becoming an integral part of the vast digital connectivity infrastructure; they need to be shaped into intelligent sensors that have the ability to extract invaluable data to help businesses make improvements in the area of video security and beyond. Kong: Sophisticated analytics, with help from Deep and Machine Learning algorithms, will drive increased business in 2019 for both security and business intelligence use cases by providing additional value. Organizations will increasingly rely on edge devices for notification and alarm validation. Customers will become more aware of the useful metadata that can be gathered from edge devices which can turn a security system into a revenue generating business tool or smart city sensor array for some deployments. Whitney: The security industry – always conservative to adopt new tech by its traditional risk-adverse nature – now sees the benefits that the cloud offers. Hybrid cloud solutions are the most likely to be successful, since the best of them offer the benefits of local recording with remote administration and easy uploading and distribution of video of interest. This eliminates the challenges around the availability of bandwidth and its cost for total cloud solutions that upload all video, and removes the need for downgrading video quality. Local administration isn’t required, reducing the risk of human error or misuse of the surveillance system, while improving the reliability of and access to video from anywhere, anytime. Edulbehram: The convergence of multiple streams of data, in conjunction with video surveillance, has the ability to truly disrupt the industry and take the use of video far beyond simply security. The collection and analysis of IoT devices will give rise to a plethora of opportunities, such as intelligent building management, smart cities, intelligent traffic management and much more. The physical security side of the coin will benefit immensely by gaining enhanced levels of intelligence for situational awareness and emergency management, as well as opportunities to provide additional value-added services. Besides AI, what technology trend do you think will have the greatest impact on the market in 2019? There will be an increasing focus on where components and software is sourced and which OEM partnerships are in place. Software auditing is required by end-users in many critical vertical markets which will make this more transparent. In the lower end of the market, ease of use will compete with cybersecurity. Ultimately, SMBs are not as concerned with cyber threats and will prioritize ease of use and installation over security unless legislated to do something different. Which leads to regulations and the lack thereof. The industry will continue to lack real regulation and legislation, instead following the lead of the IT industry and, in particular, large suppliers such as Microsoft. Nilsson: Just like IP video a decade ago, IP audio and intercom systems are poised to disrupt the IoT and security system landscape. In contrast to their analog predecessors, network audio solutions deliver higher scalability and greater dependability, are customizable and have a lower total cost of ownership. Because IP audio and intercom systems are built on an open platform standard, they can easily integrate with different subsystems like video and run third-party applications. This makes these systems future-proof and a much better value proposition than analog speakers. Palmquist: There are a couple of impactful shifts happening. First, universal standardization will play a significant role as we look to build tools and systems that ingest data from multiple sources, independent of format. We need to develop tools that are adaptable to all the many different formats in the marketplace, not just data related to security. And along the same data sharing idea, as consumer-grade IoT innovations continue to advance and are expected by users, our industry is challenged to develop similar types of IoT technology, provoking us to think of new ways to solve both traditional and new challenges. Elvish: We anticipate more unification of systems in 2019. Organizations are already experiencing the benefits of unifying access control systems with video surveillance, and this will only increase. What will also increase is the ability to employ analytics tools to leverage the vast amounts of data that physical security systems and other devices are already collecting. When organizations are able to understand and leverage their data, they can use it to improve any number of business functions, including efficiency, operations, customer service, and revenue generation. Security departments are sitting on a goldmine of data. And talking of data, one of the pressing challenges that will continue in 2019 is how, and where, to store all of the data that is being collected. Given that this is continuing to increase exponentially, manufacturers must focus on providing real solutions to the growing data storage challenge. Swan: The development of a common platform for security cameras. This will enable manufacturers to focus on innovation instead of investing almost all of their resources in tackling common challenges. Today’s security industry is fragmented. Device manufacturers are offering proprietary technology and developing individual solutions for common challenges like data security and privacy protection, performance improvements, hardened operating systems and so on. As a result, we have a very fragmented market that does not attract software developers to develop new business models in terms of software solutions. Seamless integration of these proprietary solutions remains a burden and true innovation is hindered. If we really would like to tackle the challenges of the future, we need to ensure that engineering resources are freed-up to invest in innovation. Kong: The continuing impact of cybersecurity issues across all technology sectors has created an awareness that did not exist before. This has set new expectations for vendors, distributors, integrators, as well as end users to take increased responsibility and proactively address cybersecurity concerns across their entire network infrastructure. Whitney: The cloud will become an ever-more-important force in 2019, just as IP networking, megapixel cameras, and multi-sensor camera technology did in past years. However, the cybersecurity risks of the cloud and networking in general will not diminish in the New Year. The many reported hacker attacks and security exploits that occurred using NVRs and surveillance cameras in past years will continue, particularly on IoT devices and poorly secured network devices. Regardless, the many benefits that the cloud brings to video surveillance will drive the use of the technology and industry-wide cyber protection in the years to come. Edulbehram: The greater use of cloud services and mobile devices in security applications. The mobility aspect of security and the ability to access security devices through a smart phone or web-based browser is becoming paramount to customers across industries — especially in our increasingly mobile society. That’s why there’s been such an influx of mobile apps created to manage video cameras, receive alerts to intrusion alarms, grant or restrict access to a facility and quickly access stored video. All of this together demonstrates the world’s demand for connectivity and ease-of-use, which will lead to a significant impact on the market. Given the advancements we’ve seen in analytics and cloud-based video solutions, how do you see video management software evolving moving forward? Are the capabilities of current generation VMS offerings going to be enough to support the video deployments of tomorrow? SMB markets – Because these customers are looking for ease of design, installation and use, we’ll be seeing more business opportunity for bundling VMS and video cameras into a complete solution from a single vendor. Enterprise system markets – These customers are looking for tight integration between best of breed products and systems with relatively high complexity. VMS vendors will be challenged to maintain interoperability with evolving technology not only on the video and analytics front but throughout the customer’s ecosystem which might include everything from HVAC and building automation to other non-security devices and systems. To maintain seamless and secure connectivity, VMS vendors will need to cultivate close partnerships with a wide variety of technology vendors. Cloud-based services markets – As more solutions move to the cloud, VMS vendors will need to figure out how to make the best use of the benefits of the cloud for different customers and applications. Where the VMS ultimately resides will depend on the customer’s needs and their sensitivity to such issues with bandwidth, manageability, and cybersecurity. Palmquist: Applications and video management platforms are getting smarter and more useful, and users will benefit tremendously from increased automation and new capabilities that will augment human decision making. More solutions will be coming out that deliver greater precision and efficiency in understanding environments and profiling a multitude of anomalies. The VMS platform, the intelligent applications, hardware acceleration, cloud processing — all evolve and progress together, and the speed of advancement right now in our industry is remarkable. Elvish: One of the most important functions of a video surveillance system is its ability to deliver secure and timely information that leads to greater safety and improved situational awareness of security and operational environments. A VMS should also be able to deliver additional awareness and understanding by correlating video with other security data (e.g. access control or intrusion), operational data (e.g. analytics and building sensors), and business data (e.g. point-of-sale). Video should complement existing data to offer a richer understanding of an event; the addition of timely visual (video) data to door events or intrusion events allows staff to verify the authenticity of events, and then respond with a better visual understanding of what is actually happening. Swan: As the world is changing, management software needs to change. VMS solutions will evolve towards management solutions covering multiple security and safety domains – in other words unified management of security and safety solutions. On top of that, plug-ins should be available to facilitate the need for customer specific business insights, and continuous advancements are needed regarding data security and privacy protection. Kong: VMS systems will be required to deliver more comprehensive information to operators in the form of advanced messaging, audio analytics, and useful data beyond simply displaying video streams. We can expect more web integration and real-time notification for security personnel. Cloud and virtualized deployments will help create a single point of information flow for all stakeholders, regardless of location, at an affordable price point that can scale as companies grow. Whitney: AI will result in entirely new solutions, beyond what we are capable of today. While a multi-year prospect, traditional surveillance systems, from the camera through to the recorder or server and storage, will change for the better. AI in use in other technologies, particularly in networking, behavior monitoring and prediction, and in integrating disparate systems, will result in a more cohesive whole security solution. AI also has the potential to be abused and misused, potentially leading to a technology battle on a new level between manufacturers and the security professionals who use their products and those who would attack their systems, either as individuals, criminal organizations, or governments. Edulbehram: In general, the current generation of video management systems are simply extensions of the basic capabilities of the traditional DVRs. That is, they’re essentially used for video storage and viewing/reviewing; though with the advent of IP cameras, some also provide the capability to configure and manage the cameras. These basic capabilities will be totally insufficient for the video deployments of tomorrow. With the increasing use of enhanced analytics and cloud services, the paradigm will shift from collecting and storing large amounts of video, to implementing intelligent edge devices and application software that address particular problems, needs and requirements. Another way to put it: the current VMS/video storage paradigm will shift from putting in a large video infrastructure and then figuring out what analytic applications can be run on the video, to first understanding what problems need to be solved, finding the right applications to solve them, and then figuring out what video infrastructure is needed. Speaking of the cloud and the increasing comfort level of end-users with it, how do you expect the market for Video Surveillance-as-a-Service (VSaaS) offerings to mature moving into 2019 and beyond? Cropley: Revenues from hybrid VSaaS solutions (where both onsite and offsite storage are employed) are forecast to grow fastest. The residential sector will remain an important market for VSaaS. This will be especially true in the Americas region. The involvement of large communication and security companies such as Comcast and ADT, with many existing residential subscribers, is helping to raise the profile of VSaaS solutions. Consumer video surveillance vendors like Arlo have also been quickly growing their VSaaS revenues in the residential sector. Demand in the quick service restaurant (QSR) and SMB sectors is also forecast to grow quickly. Users in these sectors are receptive to the convenience, payment method, and functionality offered by VSaaS solutions. Nilsson: VSaaS will continue gaining momentum, especially for small businesses and enterprise customers with multiple small locations (e.g. franchise operations and branch offices). This will be due to the greater security of off-site video storage and the ability to access the video remotely on-demand, coupled with the lack of technology and maintenance expertise at the customer level. The other reason customers are flocking to cloud-based solutions is because those service providers are better equipped to address evolving cyber threats in a more scalable and efficient manner. Palmquist: VSaaS is indeed maturing. A high level of cybersecurity and system hardening best practices are becoming standard within our industry. As those hurdles are met, VSaaS becomes a very cost-effective option for moving complexity into the cloud. I believe one of the drivers for this is to lift the responsibility from the edge. Technology integrators and end users must measure the total cost of safe and compliant ownership for their systems; VSaaS offers a very attractive path to powerful video system capabilities with minimal infrastructure costs or in-house expertise needed. Elvish: Cloud-based security solutions can be game-changing offerings for organizations of all sizes: they are more affordable, provide strong security, robust reliability, and include a deployment model that doesn’t require capital expenditure for traditional on-site servers. If vendors do not take advantage of the scalability and elasticity of cloud computing in at least some part of their applications or offerings, they will miss a huge opportunity. Hybrid cloud solutions, in particular, allow organizations to decide where to store their data to best suit their specific requirements. In many sectors, this allows organizations to comply with retention rates without blowing their budgets. Regardless of the industry, hybrid cloud solutions allow us to better control costs while ensuring the privacy and security of our information. Swan: The market for VSaaS will not be mature in 2019. We are still scratching the surface. Business models are changing and customers are getting used to paying for services instead of hardware. Another development is increased customization. Video surveillance solutions are more and more being considered as a means to generate new business opportunities. There are signs of a shift from a cost center approach with video surveillance being a necessary evil to video security solutions used as profit centers. Customers are requesting tailor-made insights to steer and drive their businesses. As a result, we see a market demand for application and customer-specific apps that can be installed on cameras to provide additional value. Kong: In the B2B and enterprise market, the adoption rate for VSaaS has been slower due in part to cybersecurity, privacy concerns and corporate IT policy. We expect VSaaS offerings to grow steadily in 2019 as the market becomes more comfortable and educated with the cloud as a reliable and secure alternative to traditional, server-based storage architecture. Whitney: VSaaS is still in its early stages, and is most promising for use in small business and home security initially. Simply handing cameras and connecting them to a local network, eliminating complexity, the cost of system administration, and of local recorders is already making a difference. In IT, we witnessed this phenomenon with services like Amazon Drive, Apple iCloud, Box, Carbonite, DropBox, Filesanywhere, Google Drive, IBM Cloud, and Microsoft OneDrive providing various cloud-based data storage solutions for both organizations and individuals. We will see the same for VSaaS, as cloud becomes more prevalent in other surveillance applications as an alternative approach, and the camera becomes a full-fledged IoT device. Edulbehram: Cloud-based video applications and products will take off in a big way, but perhaps not in the manner that many folks may have envisioned, which is the transmission of video over the public internet and storage in the cloud. This paradigm works really well for the residential and SMB markets and in these markets, the use of cloud services – both DIY and commercial – will continue to rapidly increase. In the medium- to high-end of the market, the growth in the use of cloud-based services will be driven by the increasing levels of intelligence at the edge. Transmitting and storing large amounts of video in the cloud will remain uneconomical for most applications, which means that intelligent edge devices – for example, cameras capable of running analytics – will process the video and transmit only the interesting data and video. The cloud will be increasingly used to analyze, compare and correlate the data, which is the cloud-based “service” that service providers will monetize.